Hello everyone! This week has been spent catching up on sleep and cleaning out my closet. I am slowly cleaning out my closet. I already have a large pile of clothes to donate and throw away. Last night, I saw Beauty and the Beast. It was so good! They kept it vey similar to the original movie! 1. 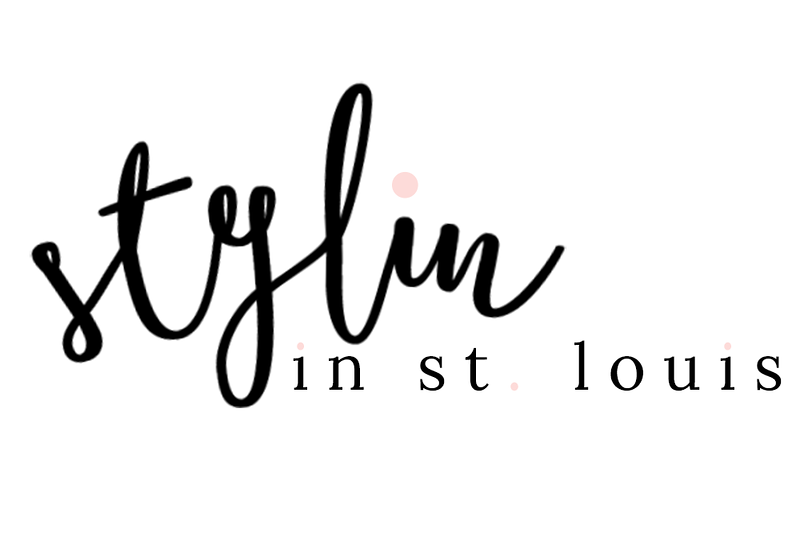 We kindly ask that you follow the two hosts: Elle from Living in Color Style, Jacqueline from Stylin' In St. Louis, and our guest host Heather of My Life Well Loved. 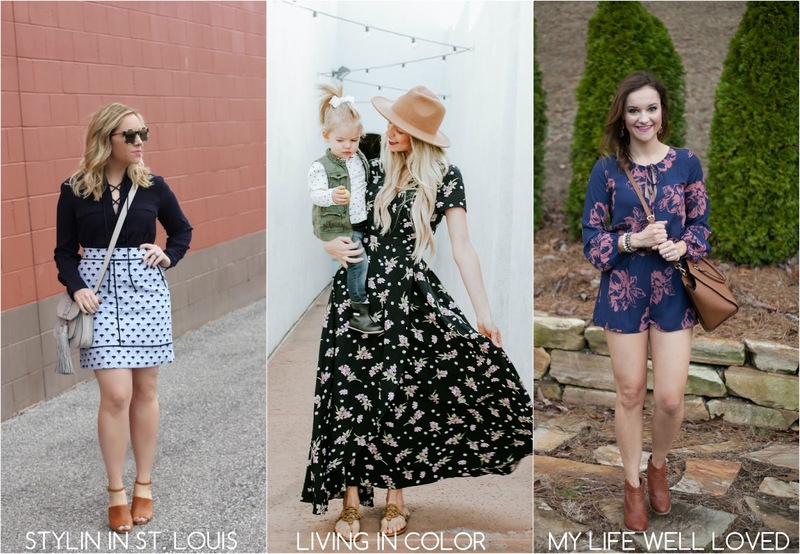 Spotlight: Our spotlight of the week is Annessa of Seeking Sunshine! We love Annessa'a casual look! Her outfit looks comfy and also so perfect to wear on casual day! Be sure to check out her blog! 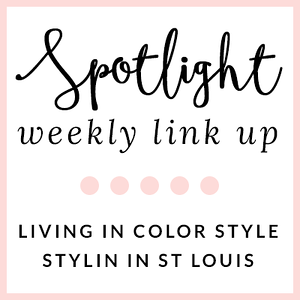 Next week: Next week our spotlight weekly theme is spring style! Thanks for linking up! Great skirt! I'm so looking forward to seeing the movie!! such a cute look, love that skirt. Such a great skirt and love it with the lace-up top! Such a cute skirt! I'm also loving your bag! The skirt is beyond FAB!!! This skirt is super cute, lady- love it! What a fabulous print on your skirt. When I saw your title, I couldn't figure out where the florals were? But these are flowers, right? I kept seeing them as umbrellas---ha ha! haha! I know! Ann Taylor has it labeled a floral fan skirt! One of my favorite looks on you! I just love that skirt. Such a pretty skirt! Love how you styled it with the lace-up top and neutral accessories! I'm loving this look! 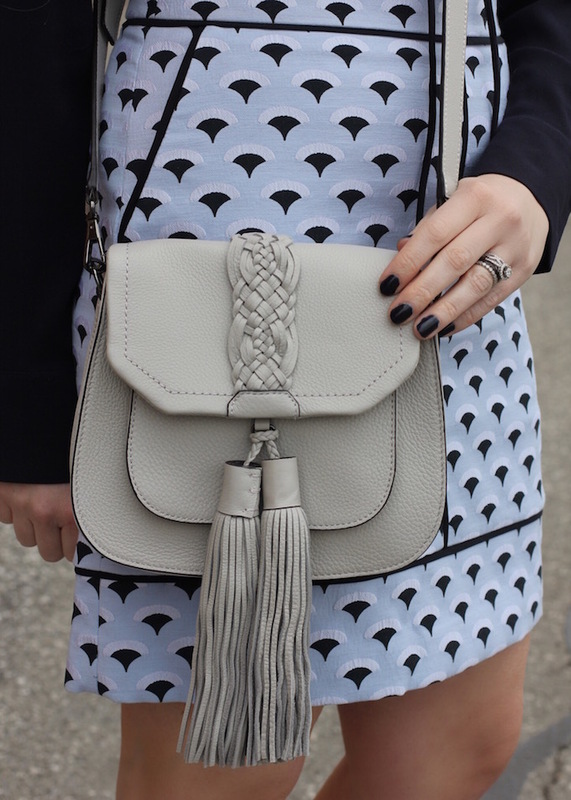 Such a cute skirt, and obsessed with your bag! What a gorgeous pencil skirt! I love the unique fan print and the piping details. That skirt is DARLING! The fan print is so unique! I hope you hold onto this for a while because it's gorgeous. Love how you mixed the black with patterned skirt with saddle colored shoes and taupe bag - perfect! Thank you for hosting. Such a cute skirt! I love the print! That skirt is darling! I love the colors and print! Such a beautiful outfit! All of the pieces you chose come together so nicely!! !